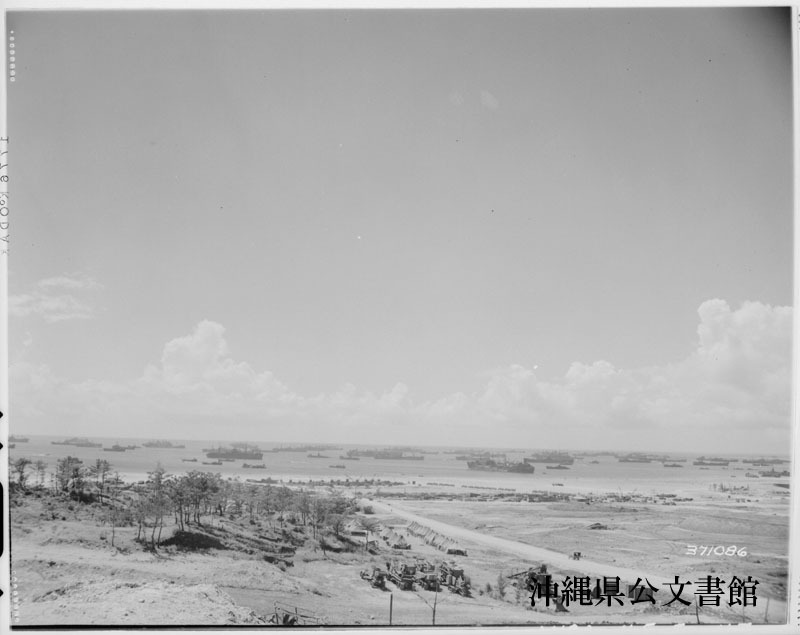 View of III Amphibious Marine Corps Command Post. 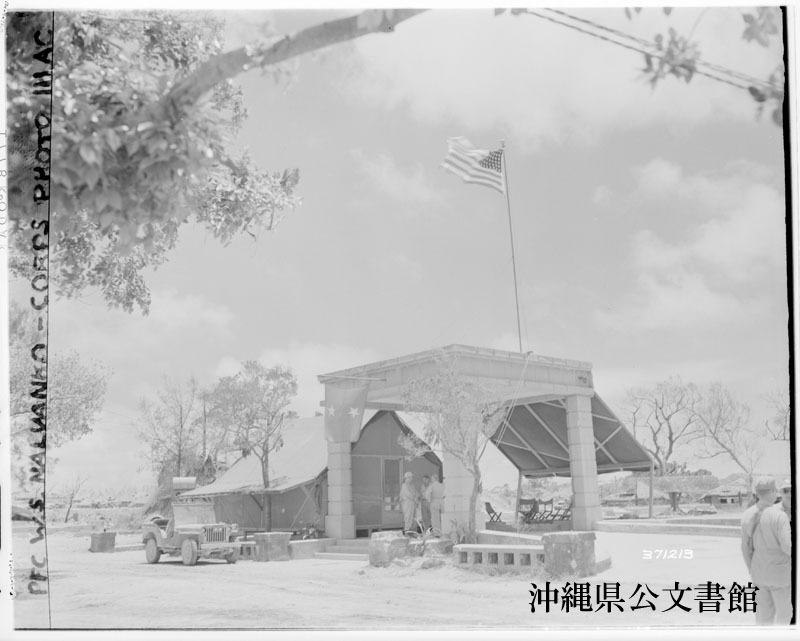 那覇にある物資補給所（1945年8月21日撮影）/ The Quartermaster Depot at Naha. 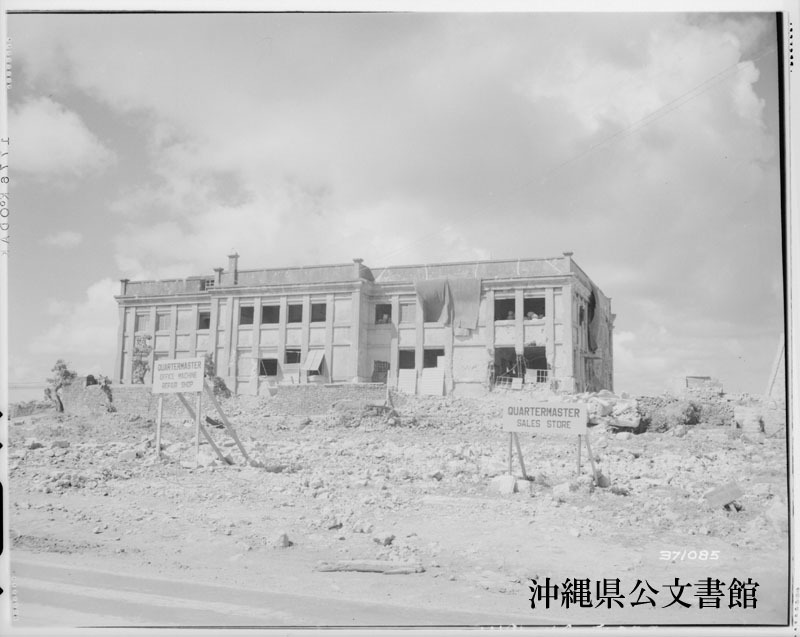 Quartermaster Sales Store and Typewriter repair shop. 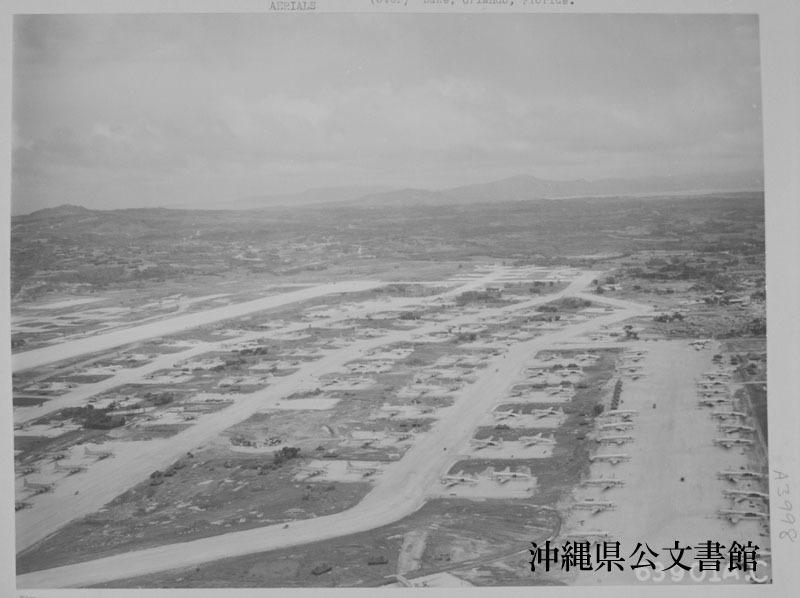 Aerial shot at Kadena Strip in Okinawa where the greatest fleet of Douglas C-54s ever assembled on one field spread over a two square mile area. 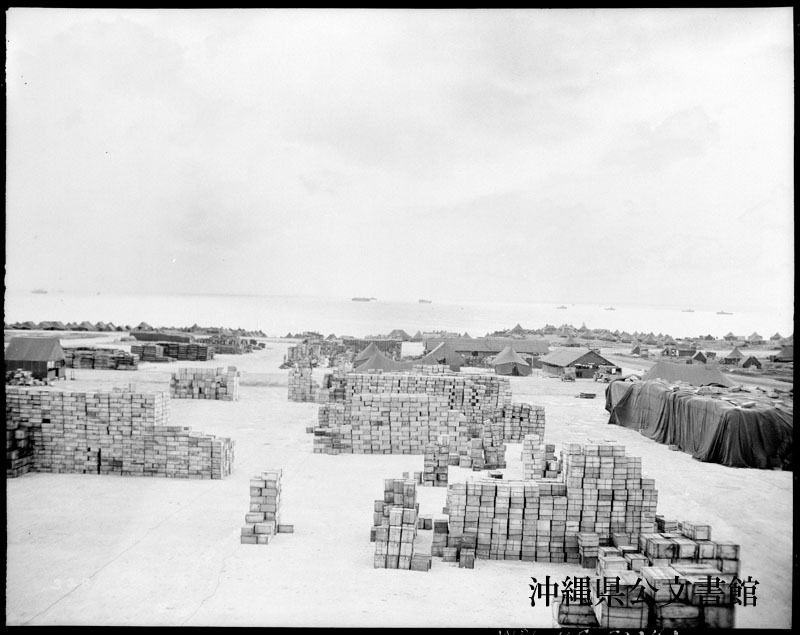 They were parked wing to wing along service aprons and taxiways after coming from Brisbane, Cairo, London, Honolulu, Manila and other places. 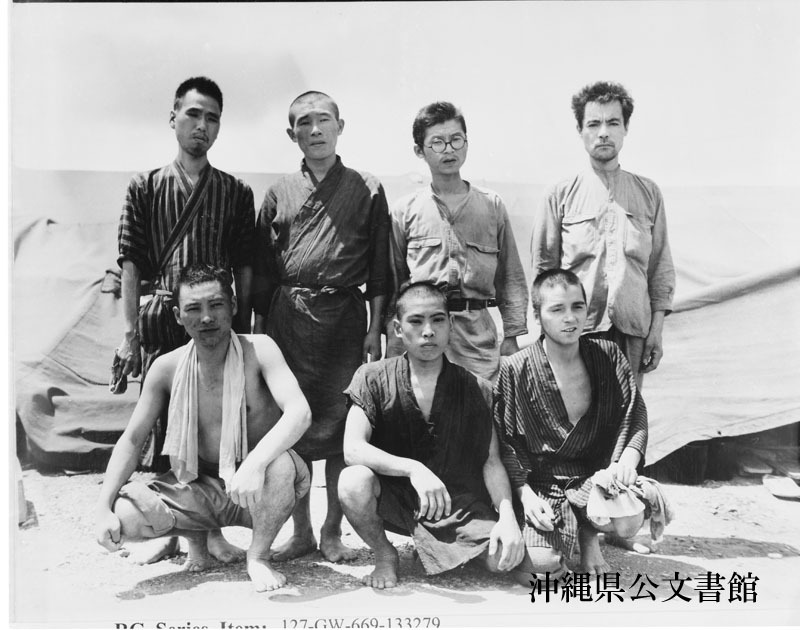 Each plane carried its own five man crew also another crew， as well as five ground force personnel. 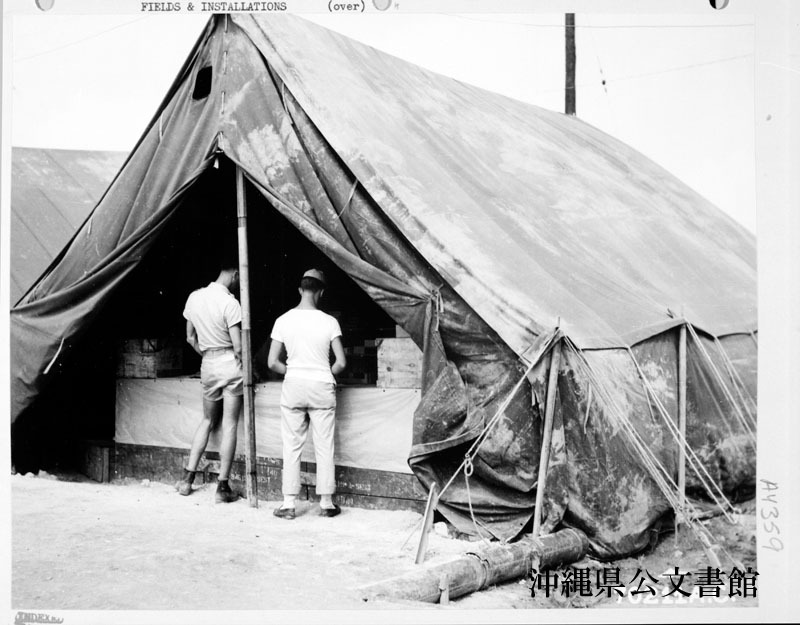 Post Exchange counter at the 7th Air Force base on Okinawa, Ryukyu Retto. 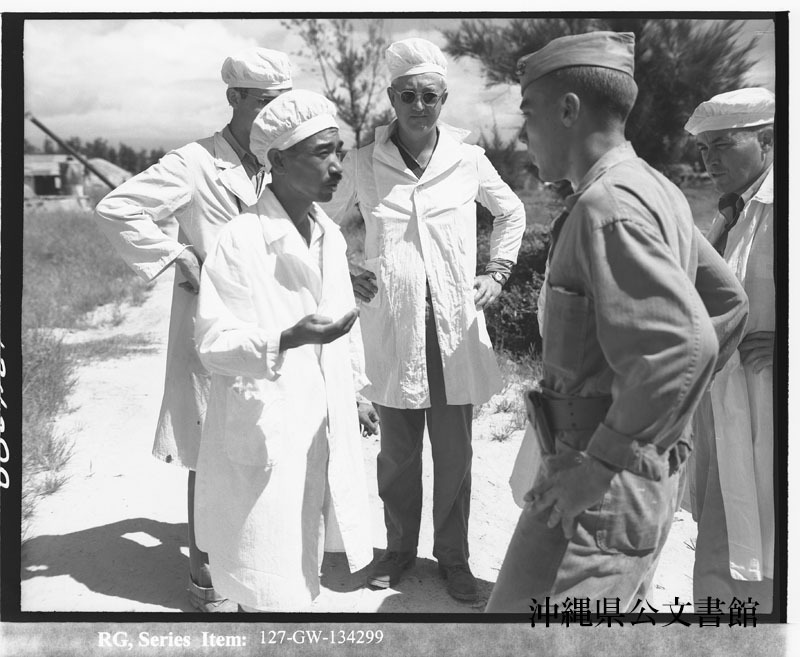 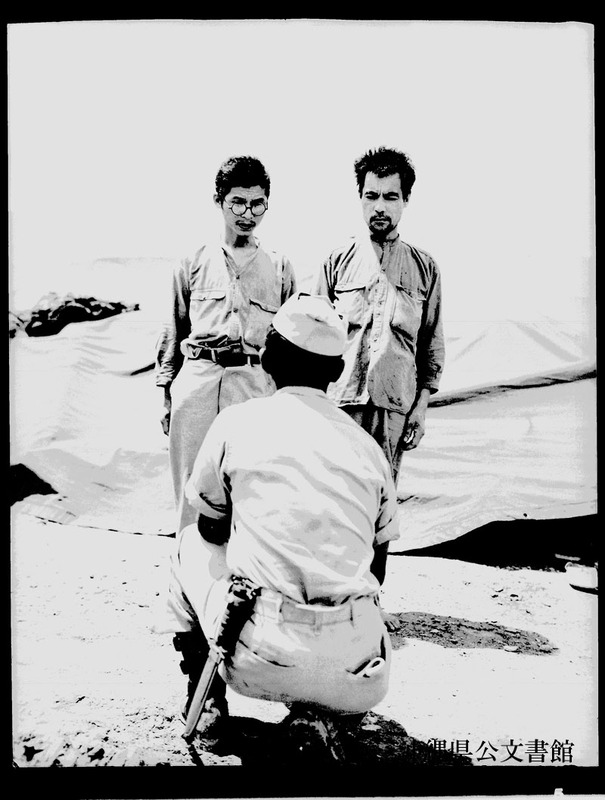 The first group of Japs to surrender at Okinawa following the end of hostilities in the Pacific.